Cuba has a reputation for primitive agricultural practices. But being isolated from the latest farming methods and chemicals for the last 60-odd years has an upside. Its bees are as green as they come. By Jeremy Torr. Cuba’s bees dine on an extraordinary range of unadulterated flowers and nectar. Courtesy Wikipedia. Havana, Cuba, 21 October 2018. When Fidel Castro and his men marched into Havana in January 1959, they started the Revolution that established communism as the defining label for the Caribbean island ever since. The downside (although tourists may disagree) is ancient vehicles still pressed into service on the nation’s streets even today, crumbling colonial facades in most towns, and a continuing lack of business access to international markets. The upside is that the island’s agricultural practices have kept clear of pesticides, weedkillers, fertilisers and other modern agricultural chemicals that are hitting the headlines across the rest of the Americas. Today, workers in the US are suing herbicide makers, children in Brazil are suffering crippling side effects from sprayed organochlorine pesticides. And just as seriously, bees are dying by the million across North America, with the finger pointing principally at modern agricultural methods and chemicals. In Cuba, by contrast, almost 90% of all honey production is what we would call organic. Its bees are not suffering anywhere near as much colony collapse, its wildflowers are pure and nectar-rich, and its beekeepers are most often small family operations who guard their buzzing swarms with care and love. Because of this, the U.N. Food and Agriculture Organization’s (FAO), reports that organic honey has become Cuba’s fourth most valuable agricultural export. It brings in more foreign currency then even sugar and coffee, said Theodor Friedrich, UN FAO representative for Cuba. 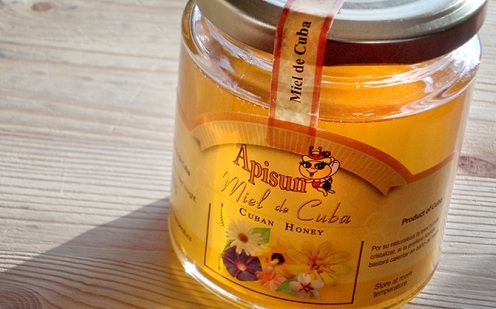 Cuban honey is achieving its own niche in Europe. Courtesy Periodico. 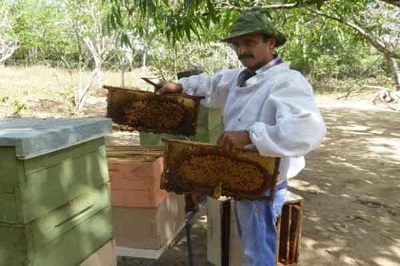 The typical Cuban beekeeper has a few dozen hives; anybody with more than 25 hives has to register with the local apiarists cooperative and deliver their honey to the Cuban State, although they can keep enough for home consumption. 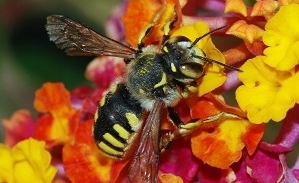 The beekeepers call their swarms “chicas” or girls which feed off a cornucopia of wild blossoms including milkweed, morning glory, palm, mango and avocado, sunflowers, lilies, bougainvilleas and the jaboncillo bejuco, or Indian vine. The quality of Cuban honey is such that this year, the production was slated to break the 10,000 tonnes export barrier for the first time. With around 2,800 beekeepers throughout the country and about 180,000 beehives, numbers were climbing at around 7,000 hives a year to keep up with demand. European buyers including big names from Germany, Holland, Spain and Switzerland will soak up the majority of the golden syrup, which sells for up to $14,000/tonne for certified organic and $4,500/tonne for standard grade – which is still rated better than the best from many other countries. Admittedly, the beekeepers themselves don’t see too much of that – the state buys every drop at a rate of some $5-600/tonne. Nonetheless, the attraction of beekeeping – and of that pure untainted honey – keeps increasing. At one Cuban honey processing and bottling plant, at Sancti Spiritus in the central highlands of Cuba, the equipment has been upgraded to process an impressive 54 tonnes a day, said Bruno García, director of the plant. “With modernization, we have raised the purity and the safety of the process,” he said. But even when a golden future has been forecast, nature sometimes steps in – and it did in Cuba recently. In 2016, an 18-month drought hit the island, cutting swathes through the island’s bountiful wildflower crop and reducing the amount of nectar for the bees. Sweet news for Cuban apiarists.